You have a divine gift that Heaven has given you to help change the world from before you were even born. If you have been feeling “stuck” or unfulfilled, it is probably because you have been wondering how to answer your spiritual calling. You are meant to fulfill a higher purpose in life, and Heaven will help you by laying out a divine pathway for you to follow. If you are feeling stuck, it is Heaven’s way of showing you that you need to change course and get back on path. You might be wondering, “What is my spiritual calling?” and “What are some steps to help me find my life’s purpose?” Here are some divine steps you can take right now to help you discover and use your God-given gifts. Discover What Ways You Are Gifted: Each person has been placed here on Earth with a gift that is different and unique. It is up to you to look deep into yourself and think about the ways you are different and unique. Maybe you are very sensitive and have the gift of intuition; maybe you have in-depth dreams that tell the future; maybe you have a natural ability that heals people. These are just some examples, but spiritual gifts don’t have to be energy gifts. People like Celine Dion were gifted with the gift of music that brings joy, healing and loving messages to millions. Doctors have been given the gift of steady hands that allow them to heal, and icons such as Tony Robbins has been given the gift of speech and self-motivation to capture and push people toward their goals. Take a moment to look deep into the ability you have been given. It might be an ability that you have had as a child and pushed away later in life, like the gift of playing an instrument. Many times other people will notice the ways you’re gifted before you do. Start listening to what others are telling you. Have Confidence in Yourself: You alone have the power to be great in what you do. Don’t compare yourself or your gift to other people. The secret to spiritual success is being proud of who you are and not hiding behind the scenes. Positive affirmations are a great way to remind yourself that you are not alone. Repeating positive statements to yourself such as “Heaven and my angels have a divine plan for me to follow today” will help to remind you to take steps forward. The biggest reason people do not fulfill their spiritually calling is fear. My own grandmother hid away from the public with her psychic gift out of fear that she would be made fun of or thought to be crazy. Because of this, the world never experienced her divine wisdom or spiritual teachings. It is important to keep moving forward, no matter what. When all the doors seem to be closed, look for the door that is open and waiting for you. The secret is knowing that Heaven will not let you fail. When you have faith in yourself, you will be unstoppable. Your Thoughts Are Powerful Messages: Have you been feeling like you want to change careers? Has something come to mind that makes you want to start something new? Maybe, you have been thinking about working for yourself lately or starting a nonprofit agency or volunteering to help children. Thoughts are the building blocks of success. The number one way that Heaven and your angels speak and communicate with you is through your thoughts. Your mind is unlike any other and is able of achieving great things. When you have something genius that comes to mind, act on it! Many great people have had divine success with just a single thought. J.K. Rowling, the author of The Harry Potter series, was one. Blessed with the gift of writing and vision, one day she was in a coffee shop when the thought of a fictional character; “Harry Potter” came into her thoughts. She sketched a few ideas on a napkin and after many publishers turned her down, she stayed confident and became a name recognized worldwide. You too can have that same success. Your thoughts are very valuable. When something comes to mind, act on it! Don’t let fear push it aside; instead, keep going and let Heaven lead you. 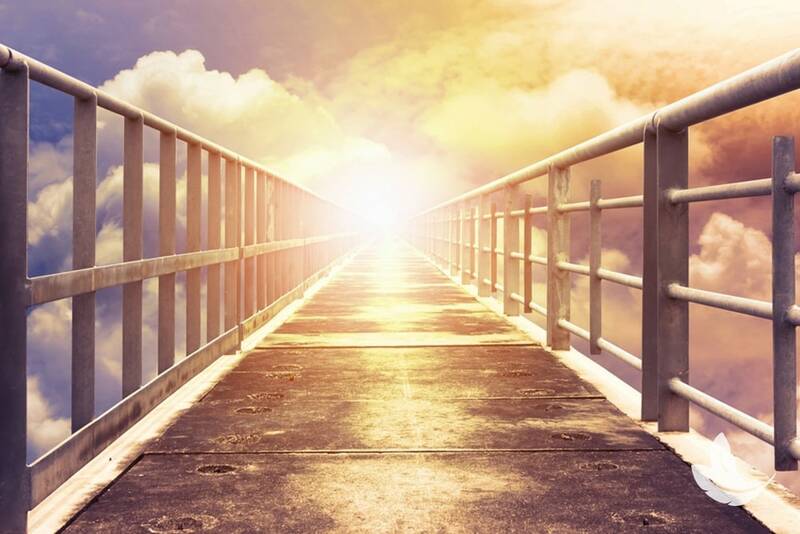 Share Your Divine Plan with Heaven: When you are ready to take steps toward pursing your divine gift, Heaven and your angels will be right there to help you and to guide you. Start by writing down your ideas and thoughts on paper. When you write your thoughts down on paper, you begin to divinely manifest without even knowing it. You do not need to know the path to take; Heaven will take care of bringing you there. All you need to know and be clear on is where it is you want to be. Start by creating a vision board. Take a poster board and fill it up with all the things you want in life. Cut out magazine pictures of the house you want to live in, the people you want to help, the places you want to visit on your journey. Heaven will create a plan centered around it. Take the board and keep it somewhere safe, either under your mattress or tucked away. Next, when opportunity knocks, say, “Yes!” Heaven will send new people and opportunity into your life. Enjoy the journey! It’s Never Too Late: The old saying that “age is just a number” is the truth. There is no time in Heaven, and it is never too late for you to get started. The only time you fail is if you refuse and make excuses. Heaven will always be there to help you. Remember: what’s for you will not pass you. Your pathway was created by Heaven, and only you can walk it. Your gift will keep on coming back with opportunities for you to purse it until you work up the courage to do so.